Who won the first place in Tamil Cinema in this year..!!!!! Rajini or Vijay? Results are here now. Who won the first place in Tamil Cinema in this year..!!!!! 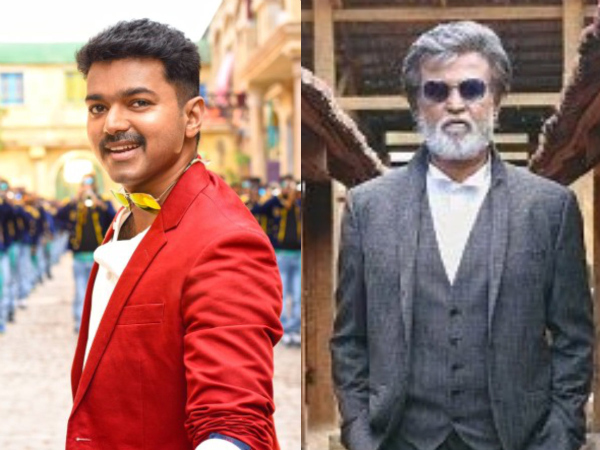 Rajini or Vijay? Results are here now.. In this year 2016, we have only 20 days. Still now in Tamil cinema no one launched good movies. All star movies came in 2016 except Actor Ajith and Kamal Haasan. But all are expected movies are Kabali and Teri in this year. Situation ally in this year which movie is first box office collection told about movie distributors. The information is given below. In Tamil Nadu movie rating is Kabali film gave a lot of crores. But that movie were high rating business around the little bit loses for movie distributors. But Vijay’s Teri movie is get high business in all theaters. In Kerala also Teri movie got high collection. In Telungana and Andhra both movie got unexpectated films. Abroad France, UK Teri movie is high rating. But America, Singapore, Malaysia and Arabian countries Kabali movie got high collection. Conclusion is Vijay’s Teri movie got first place in Cine field in this year. Previous articlePrasanna bowl to Sneha # She beat a sixer….!!!! Next articleBairavaa business deals above 7 Crores..!!! Do you know…?? ?